With over 15,000 voice-activated apps and growing, Amazon’s Alexa platform has momentum. And Amazon is expected control 70 percent of the voice-controlled speaker market this year, outpacing Google Home and others. Now the company is doubling down on its investment in the developer community, with the debut of a new event series that trains developers to build for Alexa. Launching in partnership with Intel, “Alexa Dev Days” is Amazon’s new traveling event series that begins this month with sessions in Seattle, before heading out to other major U.S. metros, including Chicago, Dallas, Boston, L.A., San Francisco, NYC, Atlanta, Philly, D.C., Austin, Miami, and several more around the country. The idea with the new program, Amazon explains, is to offer developers a “hands-on, immersive learning opportunity” focused on building skills for Alexa devices, from smart home applications to games. An Amazon trainer will guide the sessions, walking developers through the mechanics of building for Alexa using Amazon’s skill building design tool and AWS Lambda. This will be followed by a focus on the design process itself, which will include time for attendees to brainstorm and share ideas with one another. Developers will then spend time running through lab exercises, where they can get help from the onsite Alexa expert as they practice what they’ve learned. These labs will include skill-building exercises where they create apps that tell facts, make restaurant recommendations, play games, call APIs, read and write from databases, and call to other AWS services. Some of the events will also offer training on using the Alexa Voice Service. 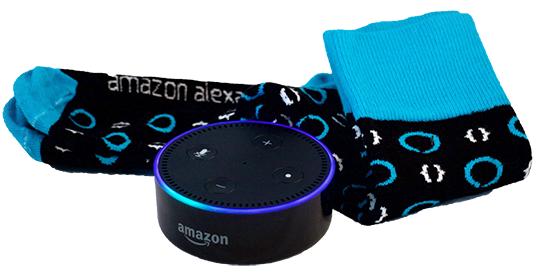 In addition, developers will learn how to submit completed skills to Alexa’s Skill Store for certification – which is how the skills they create become available to the general public. There will be two types of sessions available – introductory and advanced. Which sessions are offered will vary by city. Introductory sessions are aimed at those who know how to code, but don’t have experience building for voice platforms, while advanced sessions attendees will have likely already dabbled in voice apps. “At Amazon, we believe that natural user interfaces, like those based on speech, represent the next major disruption in computing,” said Steve Rabuchin, Vice President of Alexa, in a statement. “These events will give you hands-on learning opportunities from Amazon trainers and experts. You’ll hear from some of our leaders, and will come away with a prototype Alexa skill or device,” he added. By engaging directly with the developer community worldwide, Amazon is seeding interest in its Alexa platform. And this, in turn, will further Amazon’s toehold in the voice computing market, where companies like Google and Apple are now playing catch-up, with the Google Home and HomePod, respectively. This is hardly Amazon’s first big developer push, however, when it comes to getting Alexa skills built. The company is also doling out cash rewards for popular game skills, giving out AWS credits to skill builders, and is giving away free Echo Dot devices and other swag throughout the month of July. But what it’s not yet doing is giving developers a way to directly monetize their apps via paid voice installs, ads or in-app sales – it even shut down the first Alexa ad network that emerged. Despite the inability to launch a real business on Alexa for the time being, developers building for voice platforms are picking Alexa over the competition right now. According to recent data, Amazon has over 15,000 skills, while Google Home has just 378 voice apps, for example. Intel’s involvement in the workshop series is due to its own investment in Amazon’s voice platform. The Intel Atom x5-Z8350 processors now power two new Alexa devices from Amazon, the Echo Show and Echo Look. The company also introduced its Smart Home Hub at AWS re:Invent last year, and announced a reference design for developers building smart home solutions.